reasonable solution to flood events, consist of 6”x24” openings framed by 1”x3” steel bars. However, as the storm of July 12th demonstrated, even with the assistance of the Environmental Assessment and Impact Statements a physical solution to the border comes with significant consequences. The fence, intended to stem the flow of illegal immigrants across the US-Mexico border, became an impediment to non-human elements as well, calling into question its viability as an EPA qualified border security option. Since signed into law on January 1, 1970, the National Environment Policy Act (NEPA) mandates that any new development must first undergo an Environmental Impact Statement; a thorough exploration of the environmental implications of any new development—also considering the option of no development—with the intent to minimize unnecessary degradation of the environment. The goal of the act is to: “[establish] national environmental policy and goals for the protection, maintenance, and enhancement of the environment and [provide] a process for implementing these goals within the federal agencies.” Ideally, by undertaking such a study in the design phase of a project, the final plan will reflect the opportunities and constraints of the landscape, allowing the implemented product to work in conjunction with the natural environmental currents, instead of against them. However, flooding isn’t the only factor contributing to the degradation of Organ Pipe Cactus National Monument. A much more pressing issue appears in the severe impact illegal traffic imposes on the landscape. Illegal immigration through the park causes yearly damage to ORPI through fragmentation and vandalism. The popularity of vehicles in drug smuggling enables criminals to drive indiscriminately across the desert, typically in unmarked tracts of land to avoid detection. Frequent crossings by cars can also contribute to erosion through compaction of the soil. Furthermore, the rough terrain of Organ Pipe leads to vehicle abandonment—a phenomena that has decreased from seventy-eighty cars a year to only two-three since the implementation of barriers. When these vehicles introduce human detritus to the environment, it alters wildlife regimes, visual quality, and removal can damage the environment even further. One way the park addresses this issue is through the construction of vehicle barriers, which create a more permeable form of physical demarcation. Because these barriers consist of railroad ties and wood posts, they discriminate less between cross-border traffic, but still deter cars and other large objects from entering the park. As with any physical solution, people find ways to get around them; however, in many ways the fence on the border—by stemming vehicle traffic—succeeds as a solution to immigration issues and environmental preservation. For Organ Pipe, the acknowledgement of environmental standards remains crucial for the propagation of a healthy ecosystem. The Sonoran Desert composes an extremely delicate biosphere that thrives on the interconnectivity of plants, animals, and climactic currents that transcend the articulation of a physical border. The construction of a border fence—a project undertaken many times across the temporal scope of borderlands history—requires the involved parties to carefully consider the advantages and drawbacks to a physical solution, requiring sacrifices in one area or another. The Associated Press. “Border Blunder: Security Fence Causes Flooding.” MSNBC, http://www.msnbc.msn.com/id/26396487/ns/us_news-environment/t/border-blunder-security-fence-causes-flooding/ (accessed February 1, 2012). Leo Banks. “Border Fence Benefits the Environment.” The Daily Caller. 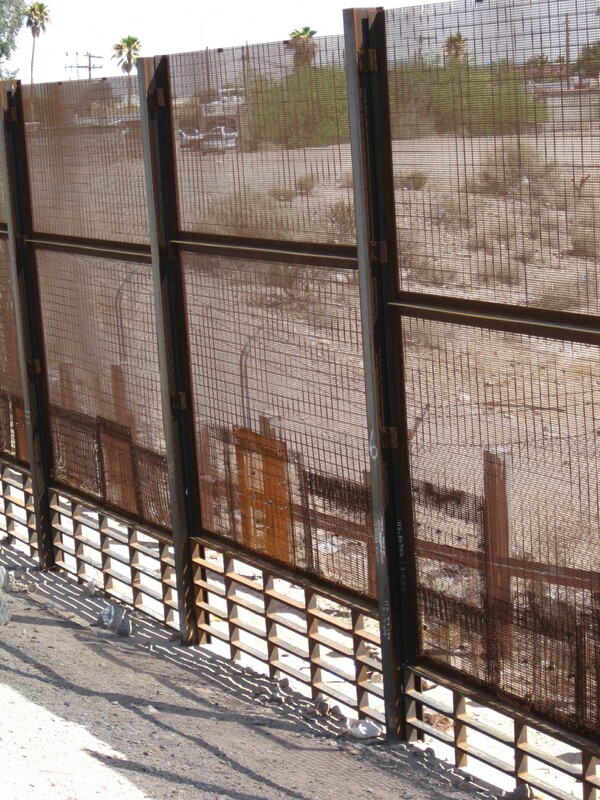 http://dailycaller.com/2010/10/04/border-fence-benefits-the-environment/ (accessed January 31, 2012).